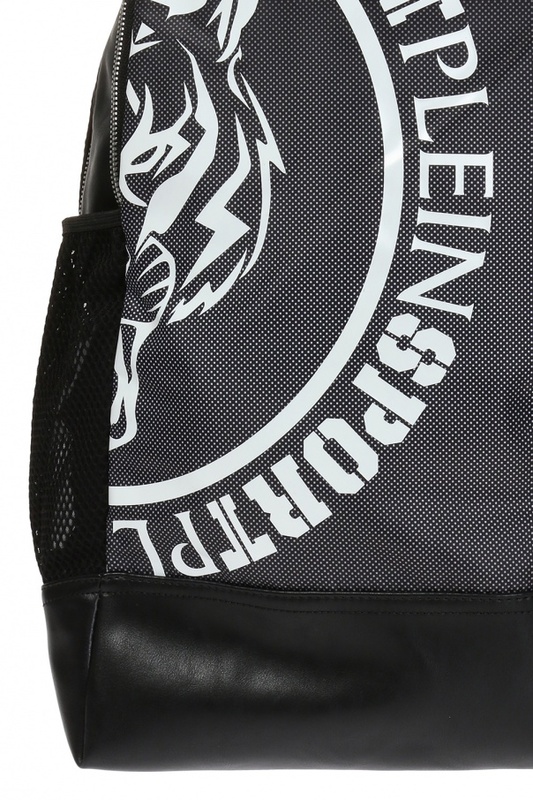 Black 'Mississippi' bakcpack from Plein Sport. Black faux leather trims. Two-way zip fastening. Printed white logo. Slip pockets with mesh trim at sides. Adjustable shoulder straps. 2 separate compartments. Patterned black and white lining. 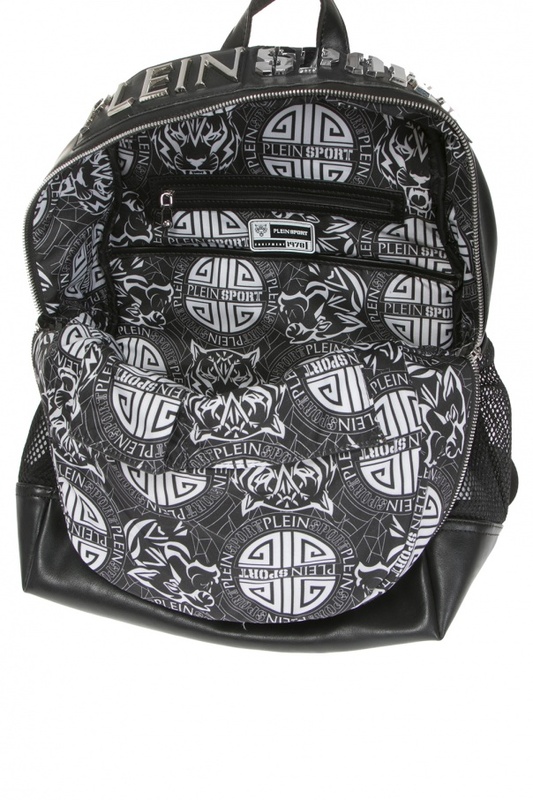 Interior with 2 compartments, laptop compartment and 3 pockets – 1 zipped. Silver-tone metal hardware.